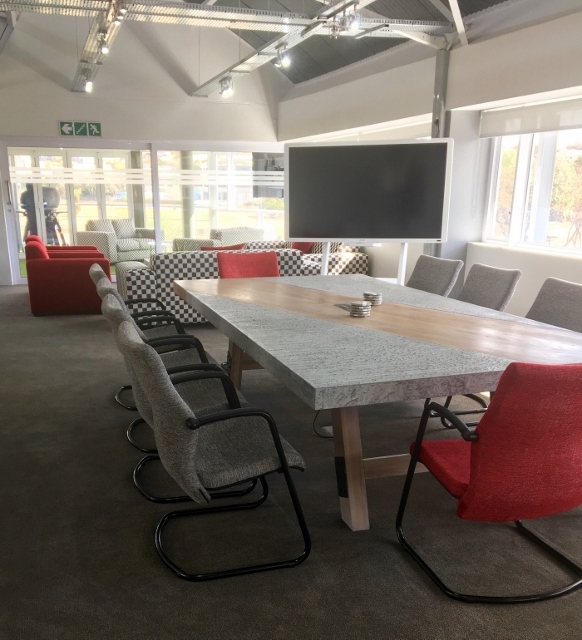 Scarab Projects manufactures and supplies a revolutionary range of boardroom and conference tables and chairs that are available in various designs, colors and materials created functional, comfortable and stylish, enabling you to optimize your office environment. 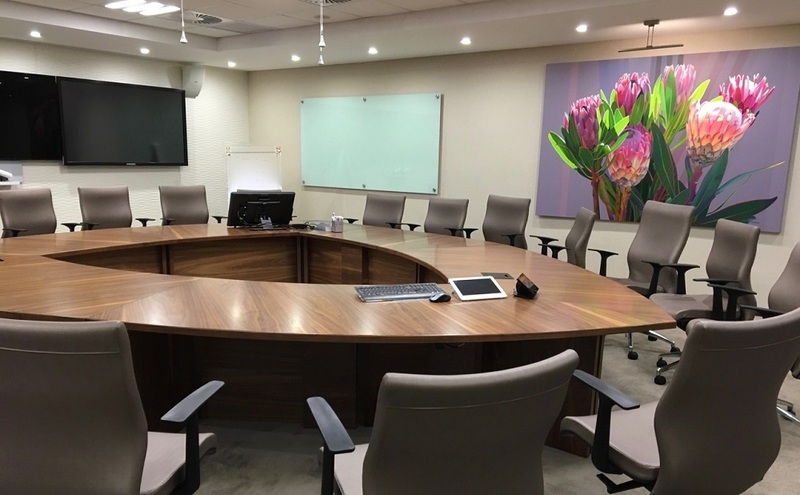 Drawings done to suit your space..
Triangular boardroom table with custom made ergonomic chairs in weave fabric, lighting and a custom designed chandelier. 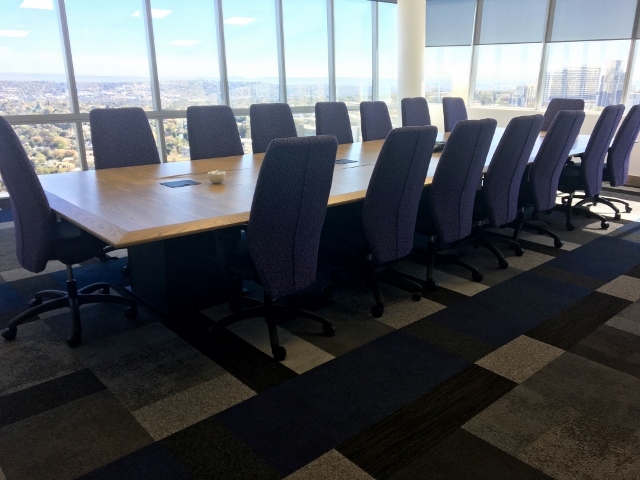 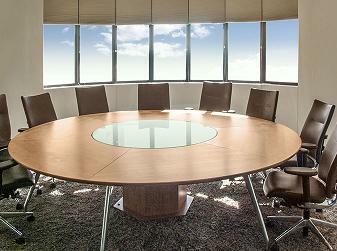 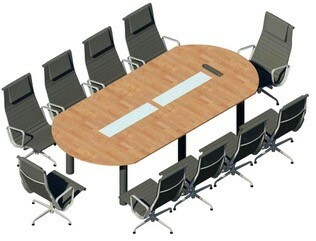 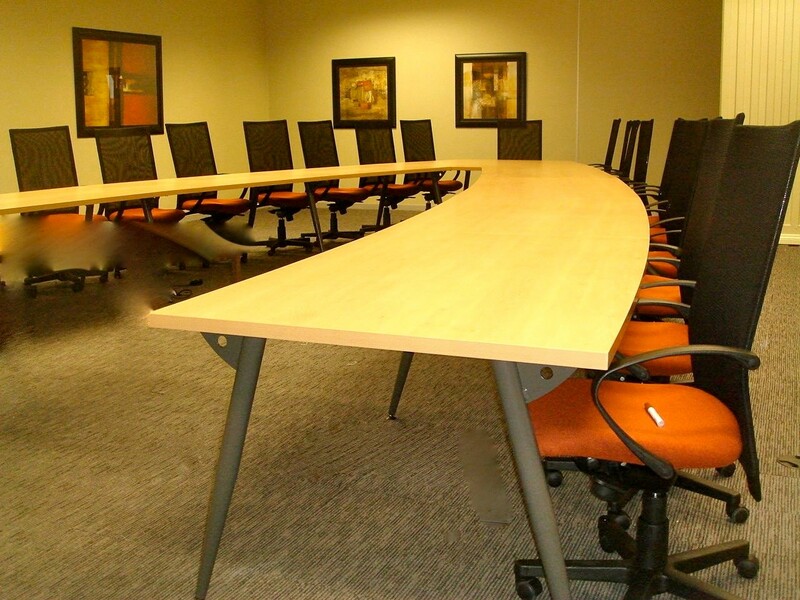 Triangular boardroom table with mesh-back fabric chairs. 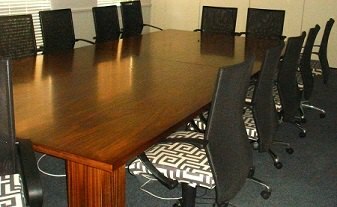 Cherry veneer rectangular boardroom table with geometric fabric on Midback chair with pu arms and Mesh backrest. 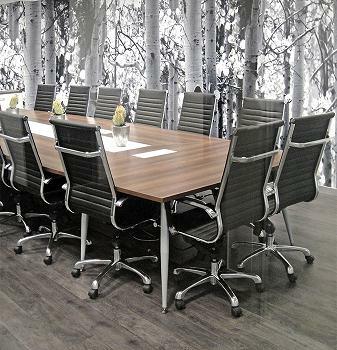 Triangular shape 9 seater conference table in American Walnut with mesh backrest and leather seat chairs. 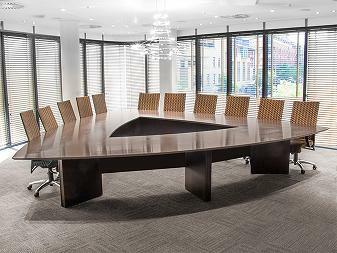 American Walnut with white gloss curved barrel shaped boardroom table with reticulation holes for Power Sets and black and chrome leather boardroom chairs. 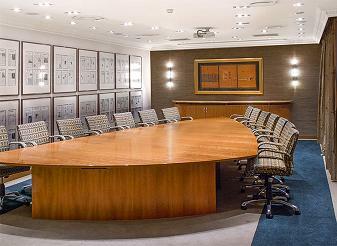 The server cabinet is American Walnut with white doors matching the boardroom table and is Lockable. 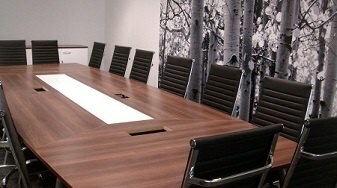 Traditional style boardroom with chairs in natural wood colored blocked design. 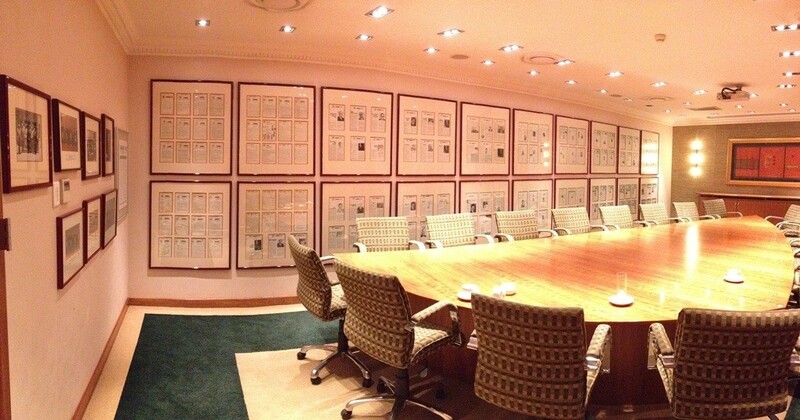 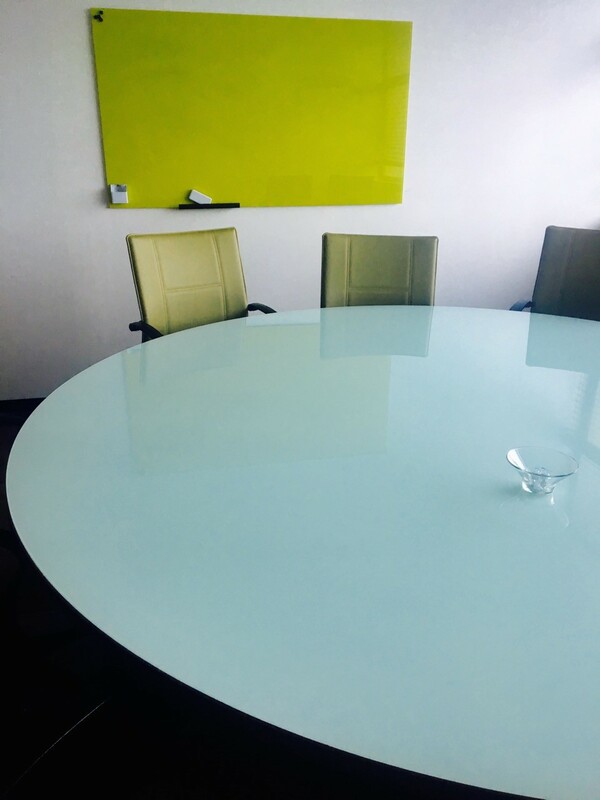 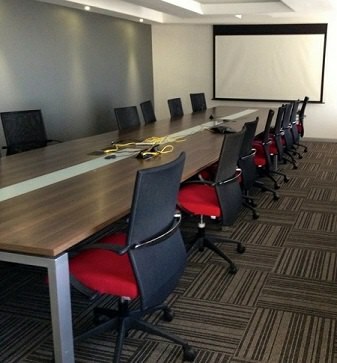 The design of the boardroom included wall art and lighting as well as carpeting and painting. 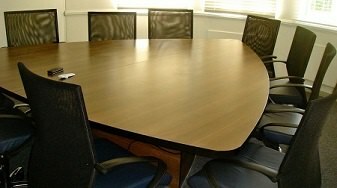 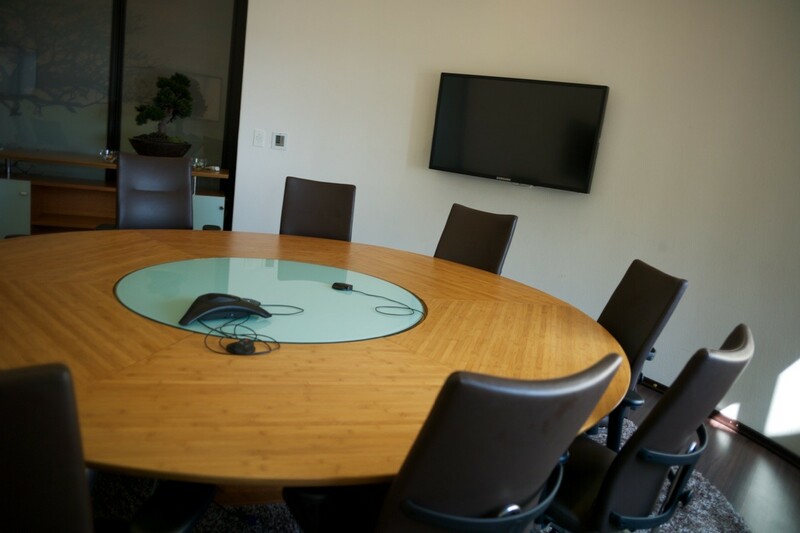 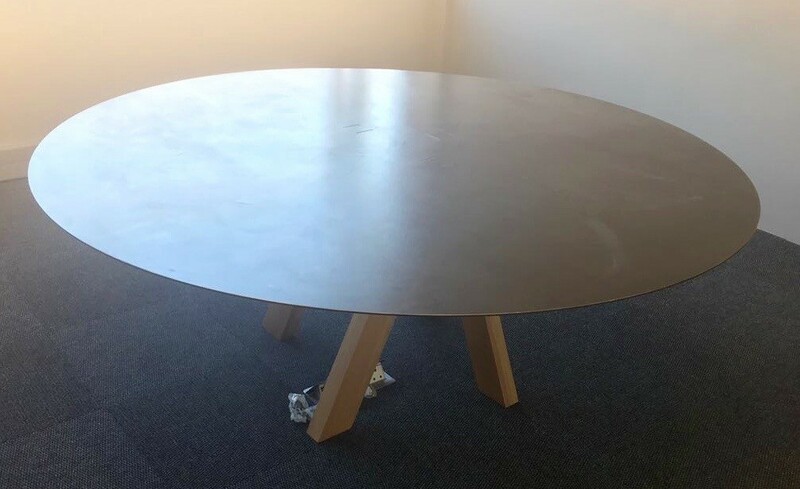 Round boardroom table manufactured and designed to fit in circular shaped boardroom supplied with brown leather boardroom chairs.